"War, by creating a state of exception, has justified and encouraged a ‘brutalizing’ of relations between society and environment." The excerpt below, from Christophe Bonneuil and Jean-Baptiste Fressoz's The Shock of the Anthropocene, looks at the environmental consequences of war. 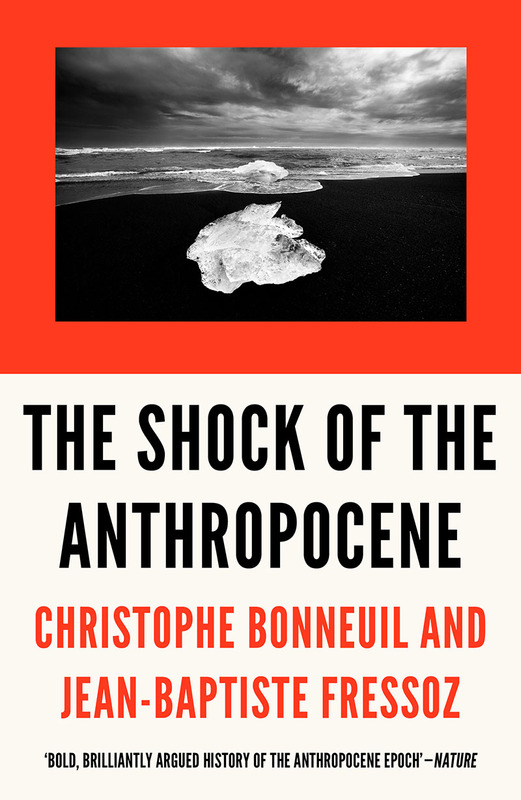 Read our Welcome to the Anthropocene (climate change) reading list here. In 1945, after visiting the ruins of Cologne, Solly Zuckerman, a zoologist and one of the founding fathers of British operational research, had the idea of writing an article on the environmental consequences of strategic bombing. In his memoirs, he explains that he abandoned this because the absolute desolation that he had witnessed ‘cried out for a more eloquent piece than I could ever have written’. Zuckerman had proposed to his publisher an intriguing title: The Natural History of Destruction. Perhaps out of respect for human victims, historians have generally not taken up this project. So, if specialists in warfare study the environmental circumstances of battles (the role of terrain, the Russian winter, the impenetrable Ardennes Forest, etc. ), the environmental consequences of war are far less well known, i.e., the effects of bombing, trench warfare, artillery or incendiary devices. Besides, the distinction is scarcely satisfactory: mud, for example, all-pervasive in the European wars of the twentieth century, is more an effect of the destruction of soil by the passage of military vehicles than a pre-existing characteristic of the terrain. Likewise, it is because forests played a fundamental defensive role (from the war of position in the Ardennes in 1914 to the guerrilla tactics of the Viet Cong) that they have suffered so much from warfare. Contemporary observers of wars were well aware of the environmental devastation these caused. In France in the 1820s, for example, the Revolutionary and Napoleonic wars were blamed for the reduction in forest cover as well as for the cooling of the climate. If the armed forces of modern times were always very greedy in terms of timber for ships and guns (around 50 cubic metres of wood were needed to smelt one tonne of iron, or the annual sustainable production of ten hectares of forest), the industrial wars of the twentieth century devoured still greater quantities: in 1916–18, when German U-boats interrupted Britain’s trade routes, the country had to fell nearly half of its commercial woodland in order to satisfy military needs. Similarly, during the Second World War, Japan lost 15 per cent of its forests. Because it came into the calculation of war reparations, French engineers of the 1920s studied very closely the woodland devastation of the First World War. They distinguished between losses due to exceptional felling (two years’ production), losses by direct destruction (50,000 hectares), and losses of woodland made unusable by gunfire. A total of 3.3 million hectares of agricultural land were also affected by battles. Trench warfare left a soil that was sterile, full of metal fragments and unsuited for agriculture, though it would be the object of reforestation in the 1930s. The volume of earth churned up by artillery (up to 2,000 cubic metres per hectare) was equivalent to 40,000 years’ natural erosion. On top of these palpable consequences, deliberate environmental destruction and its tactical and strategic role is a subject still in need of exploration. The ‘scorched earth’ practices of the nineteenth and twentieth centuries, whether offensive (during the American Civil War, the US invasion of the Philippines, the Boer War, the second Sino-Japanese War) or defensive (the German Operation Alberich of 1917 in the Somme, the opening of the Yellow River dikes by Chiang Kai-shek’s troops in 1938, Stalin’s destruction of Soviet resources in 1941), should be analysed as environmental phenomena. The Vietnam War is certainly the most well-known and best documented case in which destruction of the enemy’s physical environment constituted a pre-eminent military objective. It was at this time that Barry Weisberg coined the term ‘ecocide’. The American infantry could only advance with the aid of ‘Rome plows’, powerful bulldozers that grubbed up forests and crops. A special six-tonne bomb, the Daisy Cutter, was also developed, with a shock wave that could instantly create zones for helicopter landing in the middle of the jungle. An estimated 85 per cent of the ammunitions used by the US Army were targeted not at the enemy but at the environment sheltering them: forests, fields, cattle, water reserves, roads and dikes. In 1972, the French geographer Yves Lacoste showed how the US Air Force bombed the dikes of the Red River Delta at its widest part in order to maximize the devastating effect on the population. As he put it, geography and environmental sciences were used above all to make war. Noting the inability of incendiary bombs and napalm to destroy the humid Vietnamese forests, the US Army finally sprayed defoliants developed from agricultural herbicides (Monsanto’s ‘Agent Orange’), the mutagenic effects of which on the human population still persist nearly half a century after the end of the war. It is estimated that 70 million litres of herbicide were sprayed between 1961 and 1971, contaminating 40 per cent of Vietnam’s arable land, while the country also lost 23 per cent of its forest cover. Vietnam was also the theatre of a major project of climate engineering. Between 1966 and 1972, in order to cut the Ho Chi Minh trail running from China to South Vietnam, the US Army carried out more than 2,600 aerial missions with the aim of inducing artificial rain by cloud seeding. At a time when America was mired in the Watergate scandal, revelation of this secret climate war aroused great emotion, and the USSR pressed home its advantage by taking the question to the UN. In 1977, the General Assembly adopted a convention, still in force, forbidding ‘the hostile use of environmental modification’. Despite its basic focus on military use, this convention also prohibited ‘deliberate manipulation of natural processes – the dynamics, composition or structure of the Earth, including its biota, lithosphere, hydrosphere and atmosphere, or of outer space’. This text is the most solid legal basis for banning experiments of climate engineering that are currently projected with a view to countering climate change. If the case of the Vietnam War is the best known, it is far from being unique: the destruction of enemy resources and environment was a constant in Cold War conflicts. In 1950, the British Army began to experiment with defoliants in Malaysia, to prevent their Communist opponents from carrying out agriculture in the jungle. During the Korean War, the US Air Force systematically bombed dams and irrigation systems. North Korea lost 75 per cent of its water supply. In Afghanistan, Soviet forces also targeted irrigation systems, and close to half the Afghan cattle were killed during this war. Napalm, an incendiary mixture of oil and gelling agent invented by the Harvard chemist Louis Fieser in 1942 with support from the DuPont company, played a central role in the ecocides of the Cold War, by its capacity to burn vegetation – as well as the people this sheltered – over large areas. Used already in the Pacific War, it was employed on a massive scale in Korea (32,000 tonnes), by the French army in Vietnam and in Algeria (where two-thirds of French planted forests were destroyed) and by the British against the Mau Mau Rebellion in Kenya. Generalizing somewhat, we could hypothesize that war, by creating a state of exception, has justified and encouraged a ‘brutalizing’ of relations between society and environment. If nuclear weapons are the most palpable example of this, the ‘scorched earth’ policy of modern war should also be studied as both ideology and practice. In 1940, British MPs pressed Kingsley Wood, the air minister, to destroy the Black Forest by incendiary bombs. And it was likewise in terms of biotopes that Churchill explained the meaning of the total war he was waging: to ‘make Germany a desert’. It is a revealing fact that the most severe punishment envisioned for Germany was an environmental one: Henry Morgenthau, the US Treasury secretary, proposed to convert Germany into a country ‘primarily agricultural and pastoral in character’. Besides the immediate theatre of operations, war preparations and the organic link between the military, R&D and technological choices have played a fundamental role in the arrival of the Anthropocene. Certain connections are so self-evident that they have scarcely been studied up till now. By learning to kill humans in an efficient fashion, the military have also learned to kill living things in general. In the second half of the twentieth century, for example, fishing techniques were indirectly revolutionized by the military. Nylon, which made it possible to manufacture nets several kilometres long, was closely linked with the Second World War – developed by the DuPont company to replace Japanese silk in producing parachutes, bulletproof vests and special tyres. After the Second World War, mechanisms for detecting enemy ships and submarines were applied to industrial fishing. Acoustic detection, radar and sonar, followed by GPS (a Cold War creation), multiplied fishing capacities exponentially and made deep waters and ocean trenches accessible. Moreover, this expensive equipment started a vicious circle, as it was necessary to capture ever more fish to make it pro table. World catches increased by an annual 6 per cent in the 1950s and ’60s before declining from 1990, when the application of technology no longer compensated for the reduction in fish stocks. In the early 2000s, stocks of large fish were down to a mere 10 per cent of their level before the Second World War. Military machines, by their particular power applied to destructive capacity, constitute archetypes of what Paul R. Josephson proposes to call ‘brute force technologies’. Tanks, for example, provided a develop- mental model for a range of tracked vehicles used in forestry (clear-cutters, harvesters, forwarders)28 or civil engineering (bulldozers). Indirectly, therefore, they contributed to damaging the lithosphere: mining, the proliferation of forest tracks to render the natural resources of Siberia or Amazonia accessible, the development of suburbias, etc. An interlinked history of mining and military technologies could be written: from the black powder used by German miners in the seventeenth century through to Alfred Nobel’s dynamite which made mountain-top removal possible. The ‘peaceful’ use of nuclear weapons could also be included in this category. In 1949, the Soviet ambassador to the UN justified his country’s first nuclear tests by invoking civilian aims: ‘We want to put atomic energy to blowing up mountains, changing the course of rivers, irrigating deserts, laying new lines of life there where the human foot has rarely stepped.’ This inaugurated the ‘atoms for peace’ discourse that Eisenhower took up in 1953. The following year, Camille Rougeron, considered the great French strategist of the Cold War, published a monograph describing the possible applications of the bomb: to alter climate and the course of rivers, melt glaciers, build underground power stations, mine otherwise inaccessible minerals, etc. In the United States, the secret ‘Project Plowshare’ was launched in 1957 by the Atomic Energy Commission. Edward Teller, father of the H-bomb, proposed the construction of a second Panama canal with the help of 300 nuclear explosions. Another option involved 764 bombs for a canal route across Colombia. In 1958, the US administration studied the possible use of the H-bomb in building an artificial port on Cape Thompson in Alaska. In 1963, the AEC and the Californian highways department proposed constructing a freeway across the Bristol Mountains in the Mojave Desert by exploding twenty-two nuclear devices. The most promising use for nuclear explosions seemed to be for extracting bituminous oil from Alberta. A hundred underground explosions were planned, to liquefy the oil and make it extractable by existing technologies. This project was well advanced in 1962 when Canada changed its mind on the desirability of nuclear tests. In Colorado, on the other hand, the Americans did use the bomb to extract gas, but it turned out to be too heavily contaminated with radioactive elements to be marketable. The growing opposition to radioactive contamination led to Plowshare being abandoned in 1977. Altogether, over twenty years, the US spent $770 million and conducted twenty-seven explosions for civilian aims. The equivalent Soviet programme (Programme no. 7 on Nuclear Explosions for the National Economy) was still more destructive, with a total of 128 explosions to test thirteen possible civilian uses. Transfers between war and agriculture, both technological and ideological, have become better known thanks to the work of historians Sarah Jansen and Edmund Russell. The development of chlorinated gases during the First World War demonstrated the insecticidal properties of certain organochloride compounds. The US Army’s Chemical Warfare Service, in particular, showed the effectiveness of chloropicrin in the battle against typhus. In 1916, the chemist Fritz Haber proposed using the gases developed for warfare by the German Army for exterminating pests. Together with entomologists and foresters, he tested different compounds and different forms of spraying on fields, in flour mills and in barracks. In 1925, this application to forestry served as a pretext for Haber and the German Army to conduct experiments with chemical shells that were forbidden by the Versailles Treaty. In the United States, the chemical industry underwent a change of scale during the First World War, as a result of the need to substitute for German imports and the demand for explosives. DuPont, Monsanto and Dow grew into powerful corporations. The income from confiscated German patents financed a trade association, the Chemical Foundation, which particularly promoted the conversion of the gas warfare industry to pesticides. The biplanes of the First World War, symbol of the alliance between military technologies and agriculture, were used to spread herbicides. But it was especially after the Second World War and the invention of DDT, another organochloride compound, that the damaging dream of a purified nature entirely subjected to agricultural needs took concrete form. DDT, invented by the Swiss chemist Paul Hermann Müller in 1939, was used on a massive scale by the US Army from 1942 on, to struggle against typhus and malaria during the Pacific War. Very rapidly, farmers were faced with the problem of resistance. In Korea, the US Army also noted the ineffectiveness of DDT against certain mosquitoes. This was the start of an endless battle between innovation and evolution. The 1950s were marked by the rapid development of the American chemical arsenal, centred on organophosphate compounds such as Sarin, gases known as ‘innervating’ on account of their capacity to block an enzyme in the nervous system. As they had a similar effect on insects, phytosanitary and military inventions reciprocally fueled one another. For example, it was working on the basis of the pesticide Amiton that British researchers at the Defence Science and Technology Laboratory at Porton Down perfected the powerful battle gas VX. During the Second World War, insect phobia and racism mutually fueled one another: Japanese and Germans were often caricatured with the features of insects, beetles or vermin to be exterminated by means of chemical insecticides. Nazi Germany took this process of dehumanization to its culmination. Connections both ideological (degeneration, purity, species health) and technological (Zyklon B was a pesticide developed by Haber) linked the extermination of pests with that of Jews and others in the death camps. We should finally note that, from the Second World War to the publication of Rachel Carson’s Silent Spring (1962), the chemical industry in the US enjoyed a great prestige thanks to its involvement in the war effort, despite awareness of the danger of pesticide residues in foodstuffs and their acute toxicity for agricultural workers.